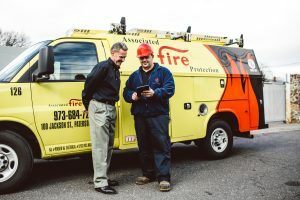 Associated Fire Protection’s long history is closely connected to the company’s business philosophy of forming long-term relationships with our customers. Associated Fire Protection was started by John Straten in 1947. Mr. Straten immigrated to the United States from Germany in the 1920s. In 1941, he was employed by the Walter Kidde Company as a sales engineer. 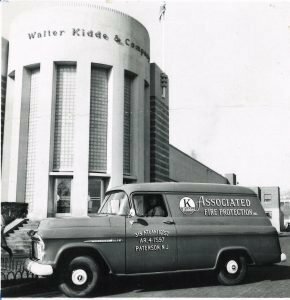 He was given the opportunity to become an independent distributor of Kidde products in 1947 and was assigned Passaic and Bergen Counties in New Jersey as his sales territories. After Mr. Straten’s death in 1969, his son Roland took over operation of the company in 1971. 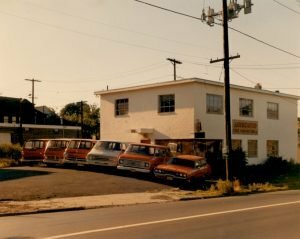 Under Roland’s leadership, the company continued to grow, adding numerous customers, employees and expanding the company’s fleet of service vehicles. 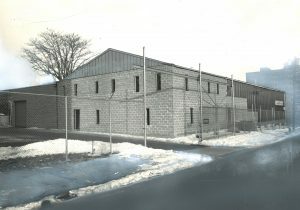 In 1986, the present 14,000 square foot warehouse and office complex was built at 100 Jackson Street, Paterson. The facility was designed from the ground up to house a fire equipment distributor and to host the most modern equipment available. Today, the site continues to fully provide for the fire protection needs of AFP’s customers. 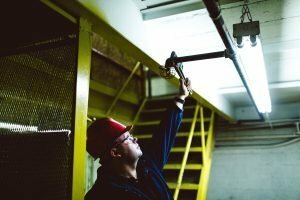 In 1987, the company entered the sprinkler business to become one of the few companies in the New York Metro area that could engineer, install, and maintain fire alarms, sprinkler systems, clean agent fire suppression systems, and portable fire extinguishers. In the early 2000’s, the company continued to expand and opened additional offices in New York and Manalapan, NJ. In 2008, Roland’s son, Brett, became President & CEO of AFP. Before becoming President, Brett served in many different roles within the company including working as a field technician, marketing and sales associate and Service Manager. Prior to joining AFP, Brett worked for the internet start up ScreamingMedia and the advertising agency McCann. 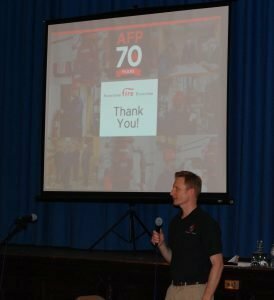 In 2016, AFP added an additional location in Southern NJ with the acquisition of Eastern Fire, becoming one of the only fire protection companies to have 3 service locations in the state of NJ. Today, AFP has grown to 100 employees and services over 4,000 customers in New Jersey, the metro New York area and Utah. AFP is actively involved in a number of national recognized fire protection associations. Our engagement with these associations ensures we maintain up-to-date with the most current legislation, codes and industry trends. AFP provides innovative building protection and safety solutions for our customers and community. We are known and respected for our quality, integrity and expertise. Customers will use us when they want the job done right. Suppliers will turn to us when they want their product represented in an expert and professional manner. Associated Fire Protection is proud to partner with a number of leading fire protection manufacturers. Our culture is founded on core values that empower our employees to deliver superior service to our customers. We are recognized as a great place to work and a leader in our community. We practice the highest ethical standards and honor our commitments. We are accountable and take personal responsibility for our own actions. We are honest and truthful in all that we do and build strong, trusted relationships by communicating openly. We are self-aware and thus mindful of our actions. We respect others and act in a manner so that others will respect us. We trust in, rely on, and support one another. We value diverse perspectives and create an inclusive environment. We demonstrate a positive, can-do attitude where we care about relationships with our co-workers, customers and community. We are team players. We understand our success is tied to those around us, and work to create an environment where teams can flourish and succeed. We are self-reliant. We look to build our own solutions rather than relying on others. We deliver quality products and services and look for continuous improvement to exceed our customers’ expectations. We are dedicated to forming trusted and lasting relationships with our customers, vendors and co-workers. 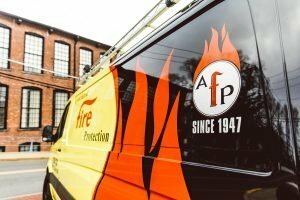 With over 4,000 customers in many industry sectors, AFP has worked on projects covering all aspects of fire protection.